Each colored bar has a different fruity fragrance. Raspberry, Grape, Blueberry, Pineapple. It Smells like Starburst fruit chews or winegums. 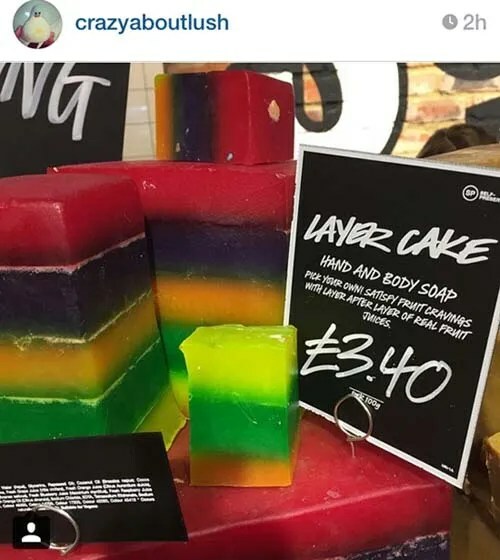 Posted on May 1, 2015 by Lushalot	• This entry was posted in New, Soaps and tagged blueberry, demo, grape, lush layer cake soap, pineapple, raspberry, video. Bookmark the permalink.